I can remember as a boy reading that verse and not having a clue what it meant. I’ve never been behind a horse-drawn plow, but today I think I know what a plowman wanted to do. He wanted to plow a straight furrow. That was important. Make the first furrow straight, and track beside it each time across. Just two or three generations ago, at country fairs, farmers would compete in plowing matches, where each would try to plow the straightest furrow. On the farm, a plowman would look out across his unbroken ground and pick out a mark to aim for—maybe a post or a tree. And once he’d set his sights, he wouldn’t want his eyes to wander off to the side, to sightsee, or back, to see how he was doing. Because if his head turned, his shoulders would turn, and he’d veer off the mark. That’s what Jesus preached. Well, what about Jesus himself? Did he practice what he preached? I’m sure any Christian would say yes, and could back it up with a good example. But let me share just one instance. It’s in the same chapter, Luke 9, in verse 51. Now that is someone who has put his hand to the plow. Our Lord “steadfastly set his face.” We need to make up our minds what it is in life we are going to do. Jesus made up his mind to go to Jerusalem. Jerusalem—because that was where Calvary was, and Calvary was where the cross would be. That’s the tree he took aim on. Up to that point, Jesus moved in large circles—around the Sea of Galilee, down into Judea, up into Samaria, around here and there. Here he is in the north, and he’s going to head south, and he is not going to look back. Now that doesn’t mean he wouldn’t stop to help others. That’s one of the most wonderful truths about Jesus. No matter how much trouble he faced himself, he was always more concerned about the spiritual needs of others. All the way there, he was doing for others. But that’s not losing your focus. That’s keeping your focus. People are what he was all about. People are the point. So that’s what Jesus did. What about us? 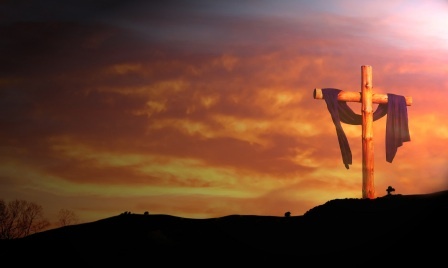 If we’re not going to be literally nailed to a cross, what mark are we to set our sights on? Jesus is called The Word. The Bible is called The Word. That’s not just some coincidence. When we devote ourselves to the Bible, we fix our eyes on Jesus Christ. When we commit to this book, we set our hand to the plow.